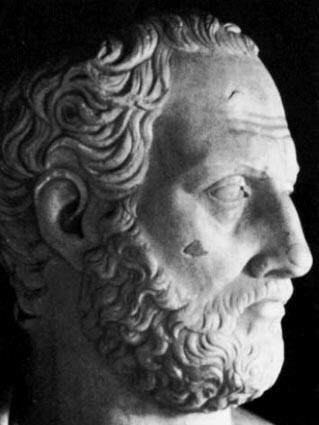 By 480 BCE, the Athenian general and statesman, Themistocles, had eliminated his political opponents and had been squarely planted as the most influential man in Athens. Rising through the political ranks of a young democratic city, Themistocles had taken great strides to prepare his country for war against the imminent Persian invasion. 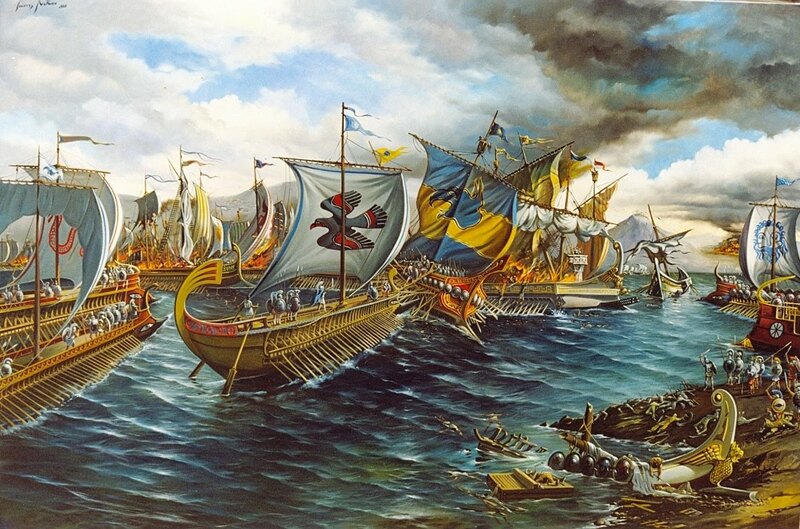 With coordination from the other prominent city-states of Greece, an alliance had been formed against the Persians, with the Athenian navy constituting the majority of the alliance’s naval power. Although Themistocles had taken great strides to build the Athenian navy, he was never officially put in charge of commanding the naval forces. It was the Spartan commander Eurybiades who would eventually be confirmed as the leader. The Athenian soldiers were hesitant to submit to a Spartan commander, especially when Sparta contributed so few naval ships. 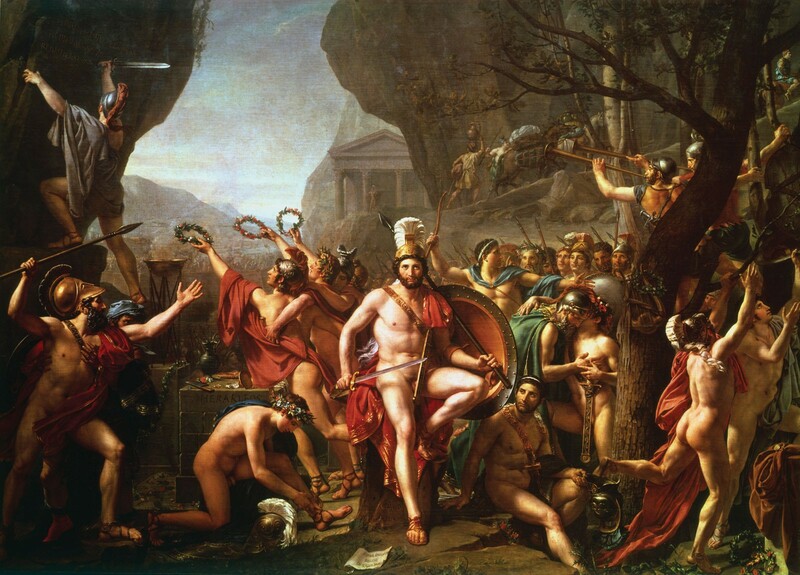 However, Themistocles convinced his countrymen to put aside their doubts and follow the command of Eurybiades. This act of humility and wisdom would allow the naval vessels to unite, which would be necessary if the Greeks were to stand a chance against Xerxes and the numerous Persian ships. The original strategy devised by the Greek allies was to block the Persian advance at the vale of Tempe on the border of Thessaly. However it quickly became apparent that the Greeks would be easily outmaneuvered if they took up a position there. It was proposed by Themistocles that the Greeks halt the Persian advance by taking position at the narrow strait of Thermopylae . Ground soldiers, including Leonidas and the famous 300 Spartans, would block the advance of the Persian army by land, while Themistocles would maneuver the Greek navy into the strait of Artemisium to block the Persian ships by sea. However, in order for this tactic to be successful, Themistocles knew he would need the full power of the Athenian navy. He would have to have every able bodied man on a warship. Athens would be left defenseless. 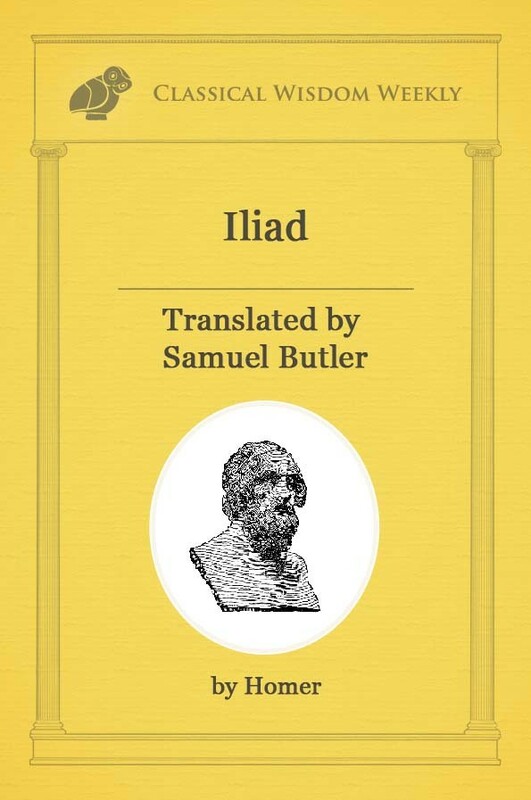 It is not known exactly how Themistocles convinced Athens to deplete the city of its warriors, what stirring words he must have conjured to allow his city-state to hand itself over to his ambitions. All we know is that Athens would narrowly approve Themistocles’ measure. Athens would prepare all of its forces for war, leaving the city unprotected. There was no turning back; the future of Greece was now lay in the hands of Themistocles. By August of 480 BCE the Persian army was swiftly approaching Thessaly. The allied navy sailed to Artemisium while the hoplites made their stand at Thermopylae. It is said that once the Spartan naval commander Eurybiades saw the size of the Persian navy he quickly proposed to retreat, assuming that the enemy was unassailable. The locals, fearing that if the Greeks retreated they would be left to suffer the wrath of the Persians, offered a bribe to Themistocles. 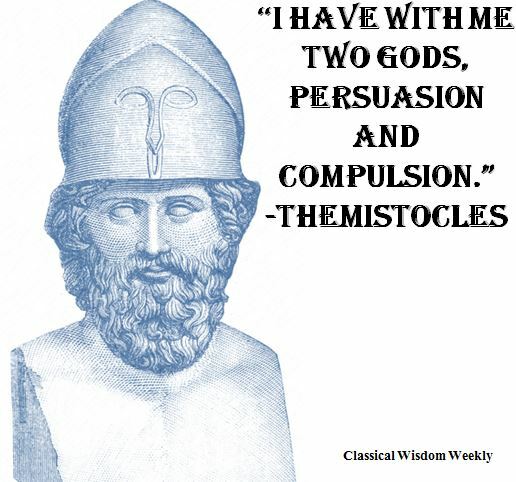 Themistocles shared the riches with Eurybiades and convinced him to stay and engage the Persian fleet. The bloody encounter took many lives. The allies especially lost numerous ships. It was then that word reach Themistocles that Leonidas and the soldiers of Thermopylae had fallen. The land pass to Greece was now available to the Persians. Themistocles and Eurybiades ordered a retreat. The Persians continued to advance, the Greeks needed a new strategy. While the battle of Artemisium had been costly for the allies, it had granted Themistocles a new insight on how to wage war. The Persians had a larger navy, yes. However they only took full advantage of this when they were allowed vast, open water in which to wage war. If their ships were forced into close combat with the Athenians, then there might be a chance for Themistocles and the Greeks. However, if this were to work Themistocles would need to act quickly, the Persians were advancing. While the Persians army took the city of Athens, the Athenian ships were harbored in the gulf of Corinth near the island of Salamis. It was at this time of peril that Themistocles did something rather remarkable. He called for the return of his political rival Aristides, who had been banished from Athens not long before. With his former enemy now at his side, Themistocles devised a plan to strike a blow to the Persians. Themistocles sent a messenger to Xerxes. This messenger told the Persian commander that the Greeks were harbored in the isthmus of Corinth and that they intended to flea. 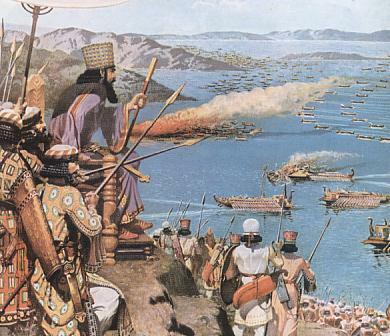 The messenger told Xerxes that he could crush the Greek navy if he would only pursue them into the narrow strait. Xerxes was pleased to hear this news and gave immediate orders for a small group of his ships to block all straits and passageways that might allow the Greeks to escape. As soon as day broke Xerxes placed his throne of gold high above the straits so that he might witness a great victory by his warships. 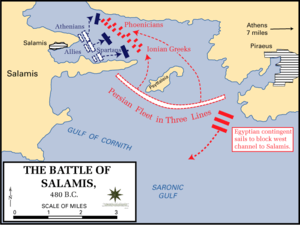 The Persian navy sailed into the narrow straits off the coast of the island of Salamis. They expected to find a scattered allied navy intending to flee. Instead they were greeted with the full force of the Greek warships ready to do battle. Themistocles had led Xerxes to believe that the Allies were weak. The overconfidence of Xerxes allowed himself to lead his massive army into a crowded isthmus where the Greeks were waiting to do battle. The allies had achieve a strategic advantage over the Persians. The enemy fleet was large and cumbersome. Their ships were hard to navigate in the narrow passageway. The allied ships were small and maneuverable, they were able to attack the Persian ships before they even had an opportunity to respond. The battle was won decisively by the allies and the Persian fleet retreated. Xerxes had been defeated. The Persians would retreat and Xerxes himself would return to Asia, leaving his generals in charge to finish the conquest. 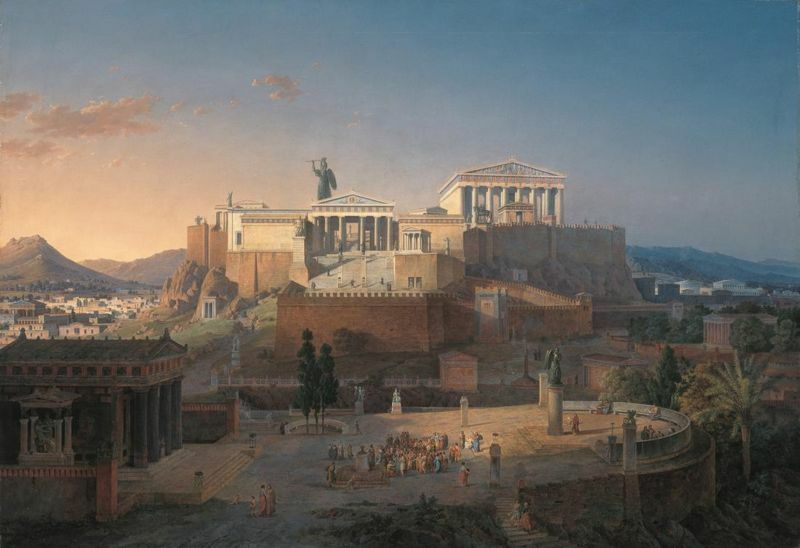 The Athenians returned to Athens and began to rebuild. The immediate threat of the Persians had been squashed. Themistocles had saved his homeland, he had protected Greece in its time of need. What a tale well told! Thank you! Greek mythology is amazing. It’s my favorite subject of all time! I don’t know what I’d read besides it. My favorite myth is the War of the Titans and the Olympians. I love action! My favorite god is Poseidon, favorite goddess: Artemis. Poseidon is a wise god, very powerful. He’s also very loving and kind. Artemis is very bright, just like the moon. She is also very wise, she despises men. Thinks they’re dull. Athena’s pretty cool too. Go Greeks!! !